Glacier National Park is a Montana-based park in the National Park Service (NPS.) It sits on the Montana/Canada border and offers over one million acres of parkland for visitors to trek through. It includes two different mountain ranges, 130 lakes, flora, fauna and is often called the Crown of the Continent Ecosystem. It has one of the most pristine, intact ecosystems in the world which not only brings National Park enthusiasts year after year but scientists as well. 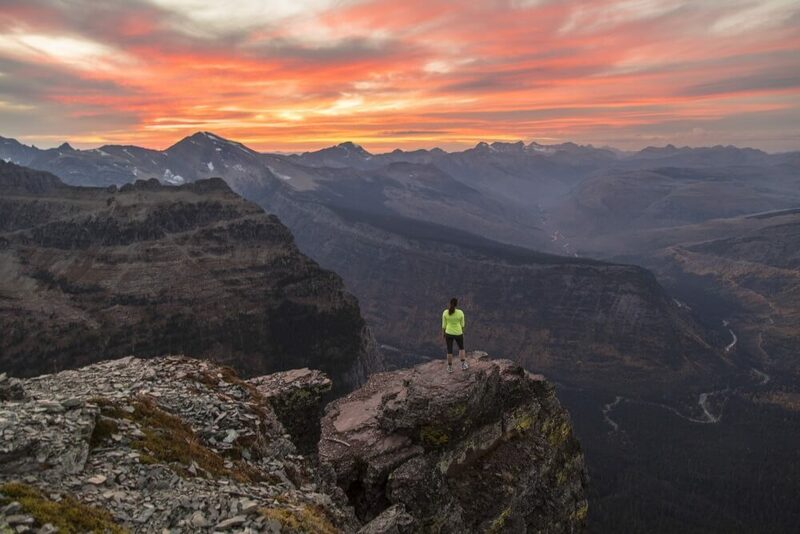 The Crown of the Continent Ecosystem area within Glacier National Park has protected lands which mean that more than 16,000 square miles of this area is protected by federal law. Originally, Glacier National Park was where several Native American tribes called home. After Europeans arrived and began North American exploration, the Native Americans fled the area and settlers took over the land. By the spring of 1910, the Great Northern Railway was flourishing along with hotels and settlements within the area. They are now part of the National Historic Landmarks tally. By 1938, the Going to the Sun Road, now a National Historic Civil Engineering Landmark, was finished and allowed visitors to travel to what is now the center of Glacier National park. Glacier National Park began its formation more than 170 million years ago when rocks were forced eastward over young rocks in the ground. These rocks also grew upwards, turning into the beautiful sights you see at the park today. These rocks are known as the Lewis Overthrust and also contain some of the most brief and complete fossilized life found on the planet. The position of the glacial rocks within the park also point towards how the Earth moved 170 million years ago and how our continents ended up where they are. Glacial National Park is one of the only areas of the world that contain the majority of plant and animal life found during its formation millions of years ago. You can find everything from grizzly bears to endangered wolverines to everything in between. Red cedar and hemlock grow throughout the park’s southwest side, and you’ll find a wide variety of flowers, trees, plant life and more within the park’s boundaries.